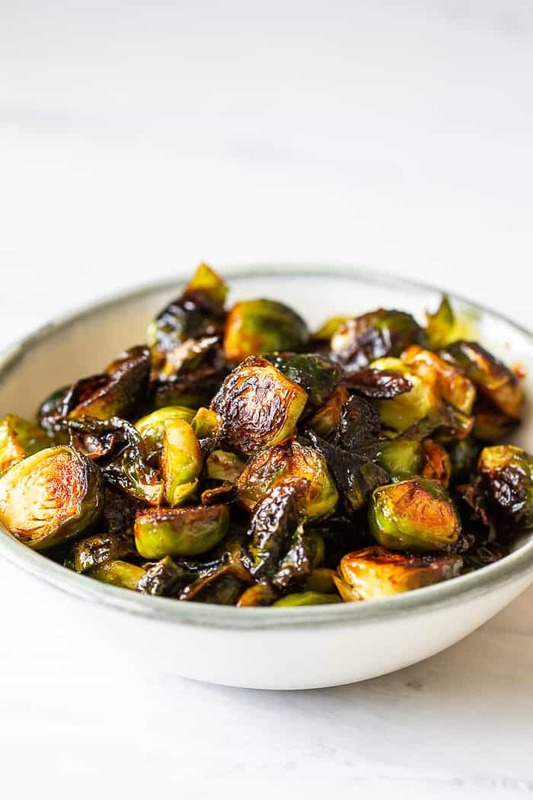 Spicy glazed brussels sprouts are a quick and easy side dish. It gets its flavor from the fiery Korean condiment, gochujang. I know it’s a little too early to share sprouts recipes. But I’ve been working on eating more veggies on a daily basis, and considering I’ve made these three times over the past two weeks, I figure I’ve got to share them. 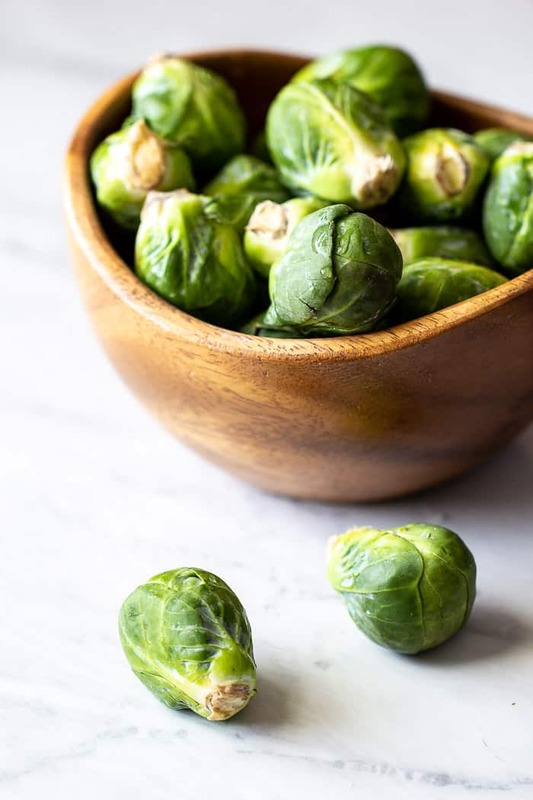 When was the first time you tried Brussels sprouts? I definitely did not eat them as a child. In fact, I was 29 before I ever had them. I was introduced to them in the most foodie of ways: at the Outstanding in the Field dinner at the first Foodbuzz Festival. I was wary, but I am sure glad I tried them. Since then I have ordered Brussels sprouts at nearly every restaurant I visit. My favorite, like nearly everyone else in Austin, come from Uchiko, but there are a lot of close seconds. Once I learned how to cook Brussels sprouts myself, they become a regular food around here. Brussels sprouts with walnuts and cranberries are just perfect for autumn, but if you like to have heat in your meals, these spicy glazed Brussels sprouts are where it’s at. My kids haven’t been willing to eat Brussels sprouts yet, but that’s OK. 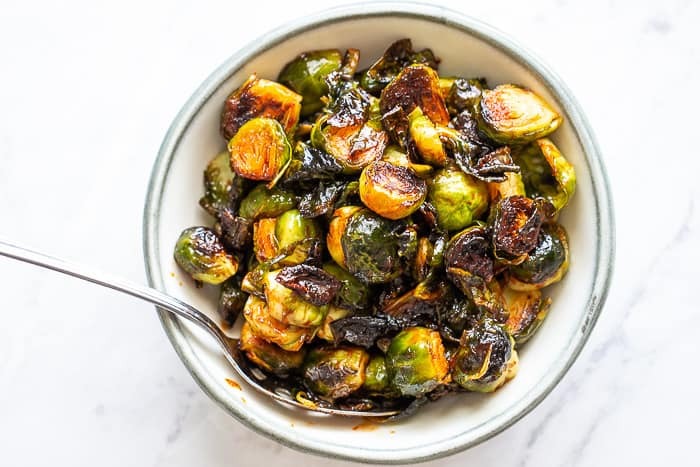 I honestly like them so much that I prefer to not share, and because they don’t eat them, I can make spicy glazed Brussels sprouts as often as I want for myself. Gochujang is a Korean chili paste, made with fermented soy beans and glutinous rice. It isn’t just used for spice; it adds depth of flavor to anything it is added to, such as marinades, dressings, dips, and more. I use it for making gochujang pollock burgers as well as some seriously tasty chicken wings. Sold in many stores now, gochujang is a thick paste that usually needs to be thinned out before using in recipes. Here I’ve combined it with soy sauce, as well as honey for some sweetness to counter the heat. Be sure to halve or even quarter your Brussels sprouts, depending on the size. 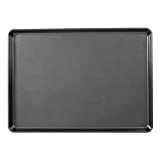 The cut surface will caramelize better than the uncut side, and you want them all to be approximately the same size for even cooking. Keep an eye on your oven toward the end of cooking. Oven temperatures vary, and you don’t want to burn the sprouts! Gochujang is now found in many stores including Target. Some are thicker than others, so add water to your sauce if it’s not easily pourable after adding the other ingredients. Once opened, gochujang should be stored in the refrigerator and used within a year. 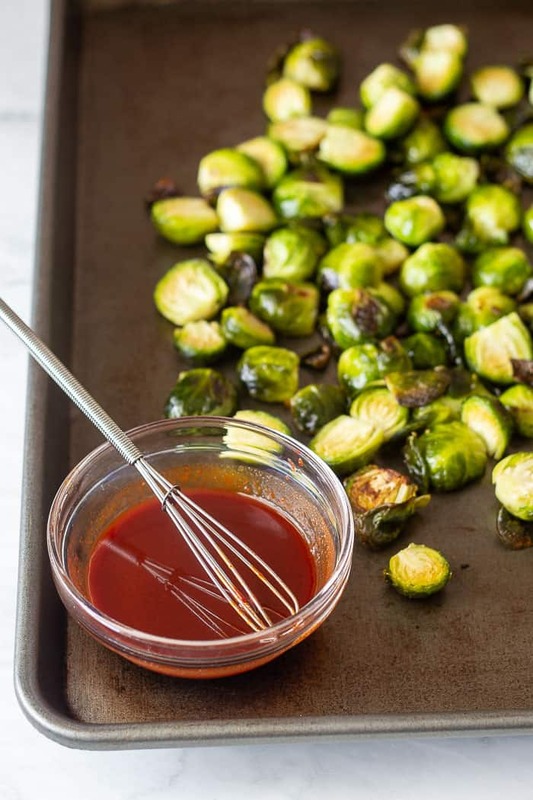 Add these spicy glazed Brussels sprouts to your side dish rotation. It will become a new favorite! Preheat the oven to 375°F. Trim ends from Brussels sprouts and halve or quarter. Toss Brussels sprouts with olive oil and spread on a sheet pan. Roast for 20 minutes, stirring halfway through. In a small bowl, whisk together gochujang, honey, and soy sauce. Pour over roasted sprouts and stir to coat. Return pan to the oven for 5 more minutes, until sauce is sticky and caramelized. I LOVE Brussels sprouts and I love your new site design! Thanks, Heather! Let me know if you make these! Do you use fresh or frozen sprouts?